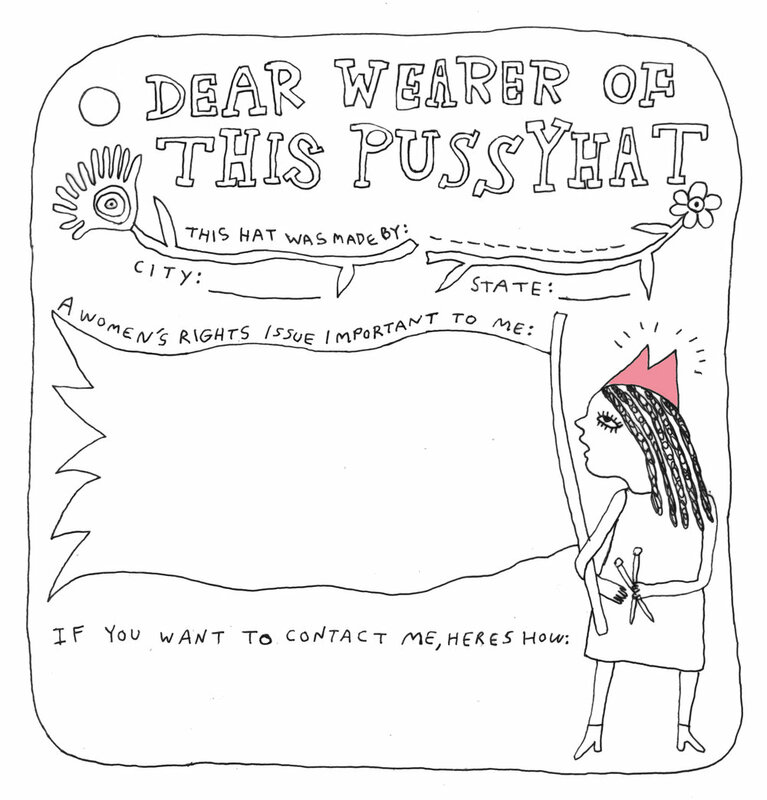 Here is a collection of printable items to help you in making, giving, wearing, sharing and declaring Pussyhat! 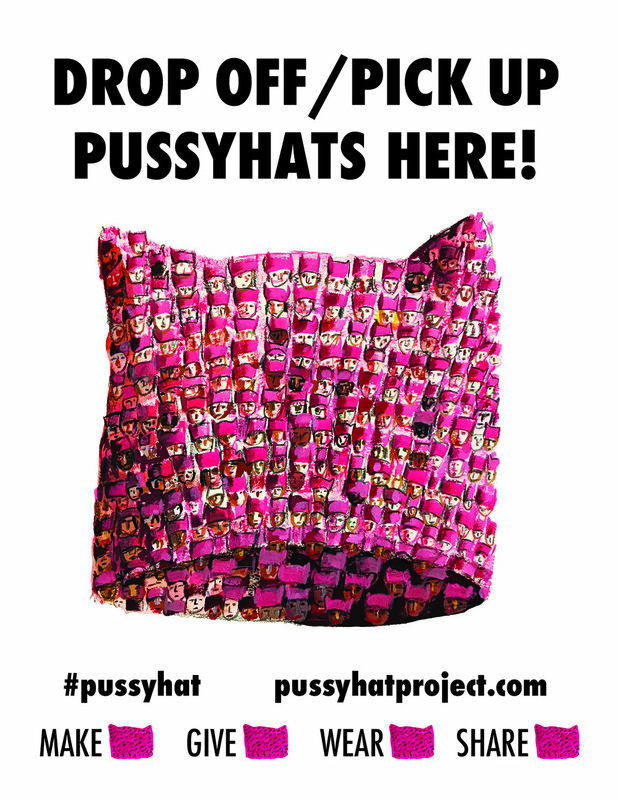 Pussyhat™ Project 2019 Flyer with Pattern! The B-side of the poster. Here’s the whole thing! Want to include a note with your beautiful work to connect with the person who will wear it? Here's one way. Are you a local yarn store or other organization that is organizing pick up and drop offs of pussyhats? Put this sign up to let everyone know! Great for posting on social media! Please feel free to share with friends to help explain how Pussyhat Project Global works! 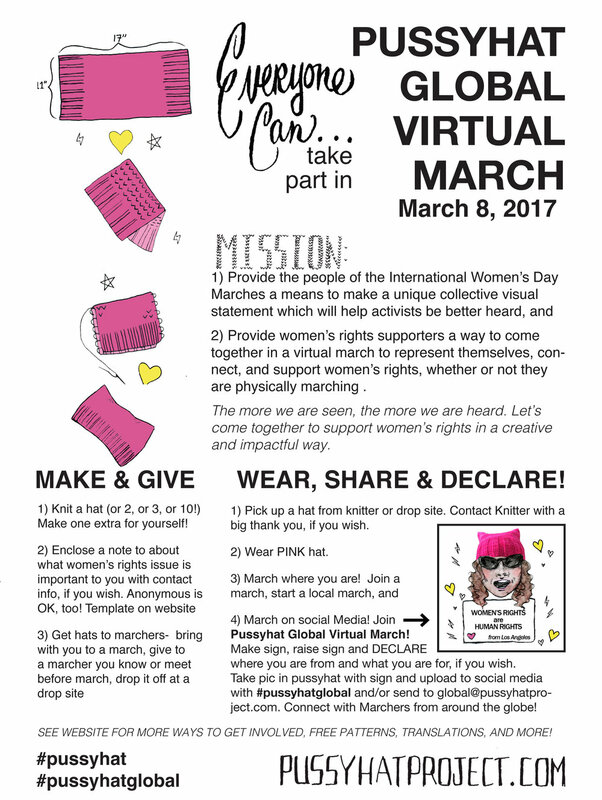 Want to join the global virtual march on #pussyhatglobal? Make a sign sharing where you are from and what issue you care about. It can be any size. If you want a little guidance, you can start here. Take a picture of you wearing a Pussyhat and holding your sign. Share with the world! Looking for the original document? Here it is! Learn more about Pussyhat Pattern! Want more news and updates? Sign up here. We won't sell your information and won't spam you.